Movies At Dog Farm : The Power Of The Incredibly Strange Horror Bloggers Network Compels You . . . The Power Of The Incredibly Strange Horror Bloggers Network Compels You . . . There's no need to adjust your monitor. The Incredibly Strange Horror Bloggers Network has seized control of your laptop. 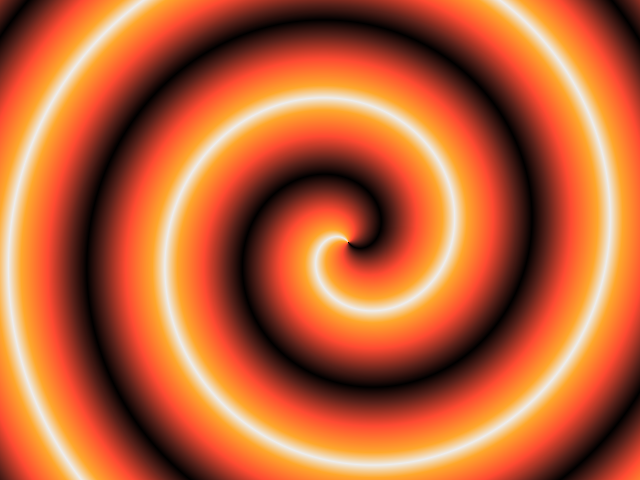 We dare you to click the spiral and be transported to another dimension (or at least another URL address). Readers will remember Blood Sucking Geek's Ultimate Gore-A-Thon from back in February. The Ultimate Gore-A-Thon was a two week multi-blog event orchestrated by JD at Blood Sucking Geek. It included his blog, this blog, and seven other contributing blogs. We all thoroughly enjoyed working with one another, and we decided to keep doing so. Enter The Incredibly Strange Horror Bloggers Network . . . The Incredibly Strange Horror Bloggers Network is a group of these nine predominately horror themed blogs that have banded together to consolidate their individual strengths, support each other's efforts, and present a unified identity to the public. In particular, fans of any of the participating blogs can go to The Incredibly Strange Horror Bloggers Network Fan Page on Facebook and find updated info and links from all nine blogs gathered together in one tidy, convenient pile. The graphics associated with The Incredibly Strange Horror Bloggers Network will likely change in the near future (Maggie at MK Horror is working on something a little spiffier than what I came up with), but the Facebook Fan Page is already up and running. Bob at Candy-Coated Razor Blades is brainstorming our next group effort, as well. Watch the Fan Page for updates, and feel free to post there to let us know what you think. In addition to promoting the blogs, we also hope to foster an active community there - we'd like all of our readers to be part of that! Don't struggle. We'll only love you more.